Laurent Assaya started his career with Gide Loyrette Nouel before joining Fried Frank Harris Shriver Jacobson in 1997. Between 2008 and 2017, he was in charge of the restructuring practice of the Paris office of Jones Day. 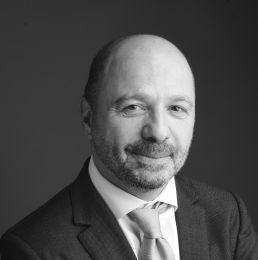 Laurent Assaya is an expert in pre-insolvency proceedings (mandat ad hoc and conciliation) and formal insolvency proceedings. He has a strong corporate background (included distressed M&A). Known for his international experience and active in special situations, he is regularly involved in complex restructuring operations in France and abroad. His clients include groups of companies, debtors, creditors and investment funds.